Islamic Terrorists Boko Haram Are Threatening to Kill Nigerian Christian Girl – Coercion Code – "Dark Times are upon us"
The father of a Christian girl being held by a radical Islamic terror group is pleading with Nigeria’s government to help secure his daughter’s release. On February 19 2018, Islamic terrorists kidnapped Leah Sharibu from a boarding school in northeast Nigeria. Leah was among 110 other girls abducted by the Islamic terror group known as Boko Haram. Four weeks later, all the girls were released except Leah. 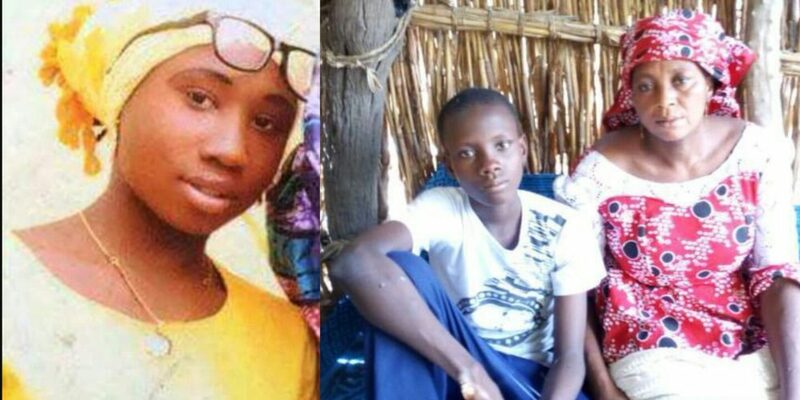 Boko Haram is reportedly holding the 15-year-old Leah because she refused to renounce Jesus Christ and convert to Islam. “I want pressure on the federal government that they should do something at least,” Nathaniel Sharibu told Nigerian reporters this week. Earlier this summer, the United Nations released a report alleging that the Nigerian government agreed to pay a ransom for all the girls except Leah. Now her father wants the government to pay for his daughter’s release. The terror group has warned that they would kill Leah unless a ransom was paid for her release. In a series of tweets, Nigeria’s president Muhammadu Buhari promised to rescue all those being held by Boko Haram. In August, Boko Haram released a “proof of life” audio recording reportedly of Leah pleading with government authorities to rescue her. “I am begging you to treat me with compassion. I am calling on the government, particularly the president, to pity me and get me out of this serious situation,” she reportedly said on tape. The group also released a picture of Leah allegedly showing her wearing traditional Islamic garb. According to UNICEF, Boko Haram has kidnapped more than 1,000 children in Nigeria since 2013. The group notoriously kidnapped more than 200 girls from a boarding school in the town of Chibok in 2014. To date, 93 of the Chibok girls have been released while more than 100 of them remain missing. The Evangelical Church Winning All, also known as ECWA, has declared three days of prayer and fasting for Leah Sharibu beginning Monday, September 24.